Home › Events › Salute to the Brave! 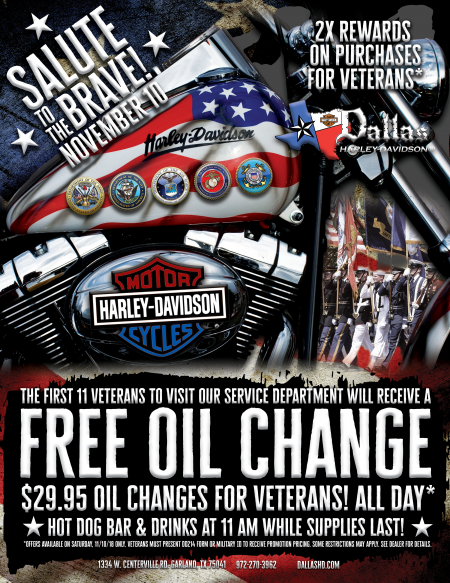 Veterans Earn 2X Rewards Points on MotorClothes and Parts & Accessories Purchases for Loyalty Program Members. *Offers Available on Saturday, 11/10/18 Only. Veterans Must Present DD214 Form or Military ID to Receive Promotion Pricing. Some Restrictions Apply. See Dealer for Details.